Lakota began her life as a Wild Mustang. Her personality is the perfect balance of a sweetheart and tough as nails. She has been through a lot in her life but has never given up. Her calm disposition and hearty work ethic makes her the perfect lesson pony, but she also is fun to just hang out with when the day calls for arts and crafts! Lakota was born out west into a herd of Wild Mustangs. She was rounded up by The Bureau of Land Management when she was young and eventually made her way to South Florida. There she was trained to be ridden and became a Hunter Jumper and a Barrel Racer. She contracted a severe case of Pythiosis on the right side of her face and came to us for rehabilitation. In partnership with Majors Solution, she was treated twice daily internally and externally. Eventually she was free of the disease but her career as a hunter jumper was then over. Lakota was given the opportunity to train as a Therapy Horse and she was a natural. Her herd mentality never faded, she cares and is watchful for those around her. She is instinctual and that plays a huge role when we need a horse to work with very sensitive cases. Horses that contract Pythiosis already have weakened immune systems and because of this, Lakota is susceptible to chronic cellulitous and infections that a horse with a healthy immune system would ward off. Minor issues like a mosquito bite can cause her to itch her leg until it becomes a huge wound. So Lakota is always under a very watchful eye, we protect her and she does the same for our students and EAP clients in return. Lakota radiates beauty from the inside, as anyone with a good heart does. However, when you first meet Lakota she appears a little different than the other horses. She has a major scar, taking up an entire side of her face. Sometimes humans can have physical differences too! Here at HDH we like to boost each others confidence with good affirmations to both our peers and the horses! Lakota was smothered with love this day as the kids decorated her in phrases like "I'm awesome" and "Lakota, you're the best." Lakota was in severe condition when she arrived at our rehabilitation center. The wound on her face was cared for twice daily. Although we do the bandage changes when students are not at the facility, they are able to view all the horses who received medical care. Many of our students are also in extensive rehabilitation programs themselves. Seeing the horses heal and eventually thrive is such an important aspect of our program for them. Lakota took 9 months to heal. 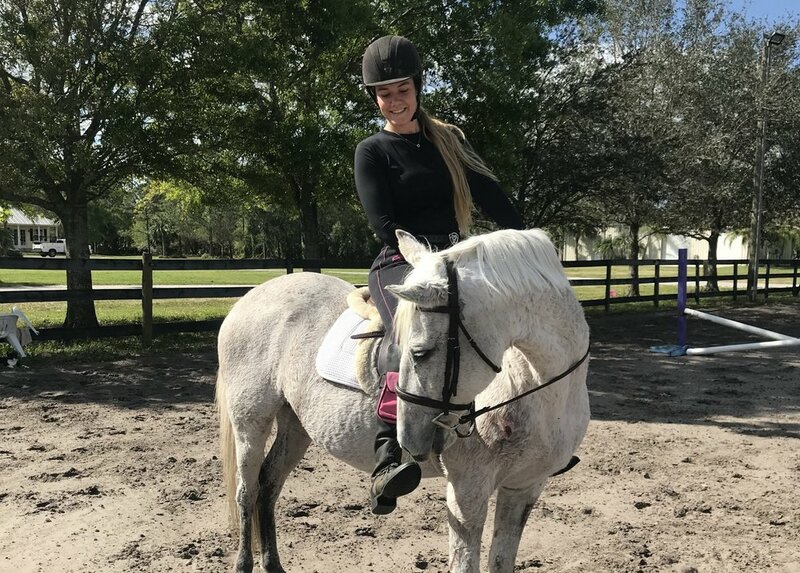 They learn through horses, that the road may be long, but staying strong is possible...especially with a loving and dedicated support system like HDH. We celebrate even the smallest of healing milestones and it seems each week our students and horses alike are making progress. We like to think the positivity from the kids is an important ingredient for the horses healing process as well.